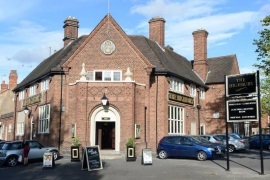 The Highbury Inn, Birmingham, B13 8PQ. The Highbury Inn pub review, map and rating. Looking for a Hotel near The Highbury Inn? This pub has just been newly refurbished and under new management who are well known around the area. Frank and Collette formerly of the Selly Park Tavern. It is a hidden dual in Stirchley. The staff are all welcoming and friendly. They welcome families and serve food everyday with a good range of affordable and delicious meals, With their Lunch time offer for 2 for £9!. They have sky Sports and screen Live football, as well as having Live bands on regular occasions. There is also a spacious function room that is available to hire for any occasion. This pub has dramatically improved since a few months ago and I shall be using it as my new local.